Jodie Muir trained at the Australian Ballet School, and went on to complete her RAD teaching certificate. She has been teaching for over 15 years during which time she has taught beginners through to pre-professionals, exposing her to many different feet in all types of ballet shoes. After Jodie experienced two stress fractures herself at the ages of 16 then 17, she feels passionate about the safety and health of dancers feet. Do you have a passion for ballet dancing? Are you looking for custom fit pointe shoes in Sydney? More To The Pointe is located in the Lower North Shore area and specialises in providing ballet pointe shoes designed to fit your individual dancers feet. 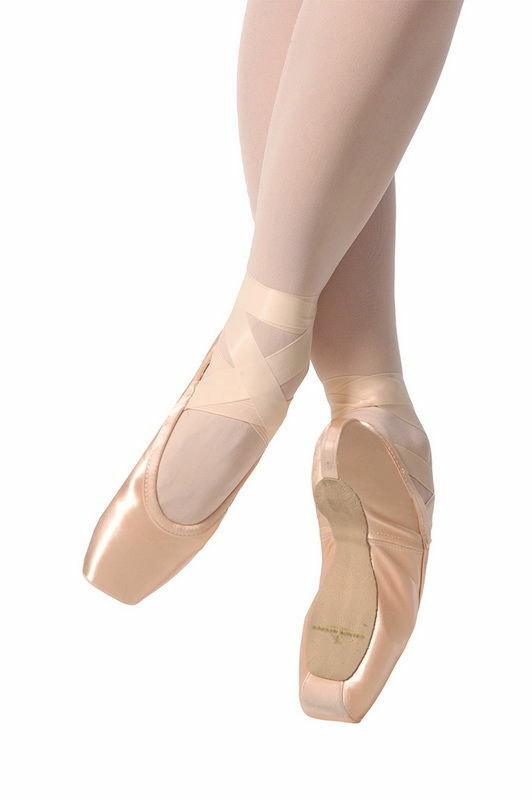 Pointe shoes may look dainty, with the classic elegance of luxurious pink satin, however, they also need to endure incredible force and repeated strain during your dancing sessions. Gaynor Minden pointe shoes retain all the grace of a traditional pointe shoe yet with a completely modernised interior to meet the athleticism of today’s dancer. What makes our ballet shoes different to other brands out there? Pointe shoes are hand crafted with the most up to date athletic materials using not only expert American craftsmanship but also a first hand knowledge of the ballet industry. In fact, it takes a ballet dancer to truly understand the value of creating a versatile pointe shoe that can withstand a range of movement and activity; with both the designer and team members all former dancers. There’s nothing quite like a customised ballet shoe designed to mould your individual dancer’s feet. Our pointe dancing shoes in Sydney are specifically designed to enhance the safety and health of dancer’s feet. If you are seeking a shoe that is perfect for your dancing needs, the Pointe Ballet Shoe is the ideal choice for every professional dancer. The form, function and feel of the shoe must be just right to ensure you perform at your best everytime. At More To The Point, our inventive fitting system focuses on a customised fitting system that suits your individual dancing feet. You also get to determine every aspect of your shoe design ranging from: model, length, width, box, shank, vamp and heel. Jodie Muir is the founder of More To The Pointe and is a fully trained ballet dancer from the Australian School of Ballet. She has been teaching for over 15 years during which time she taught beginners through to pre-professionals. For more information on pointe shoes in Sydney, contact Jodie on (+61) 414-510-242 or send an email to info@moretothepointe.com.au for appointment sessions. A mobile service for group bookings is also available. Sydney's first ever announced Gaynor Girl! A talented ballerina from the Conlan College and avid lover of all things Gaynor Minden! Scholarship: Dutch National Trainee Summer Program. 2018 YAGP New York Finalist. Scholarship: Princess Grace Academy, Monaco. 2017 St George Eisteddfod Junior Scholarship Winner. 2016 Northern Beaches Eisteddfod Junior Scholarship Winner.